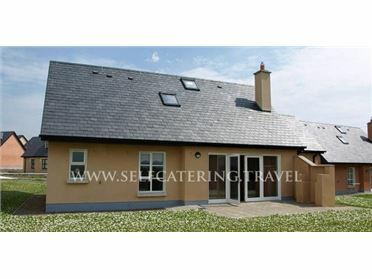 Doolough Lodge is a detached cottage near Muckross and Killarney in County Kerry. The cottage sleeps twelve people in five bedrooms which are made up of a ground floor king-size double with an en-suite, two ground floor doubles, a further double, and a family room with four single beds. There is also a ground floor bathroom and a shower room, an open plan living area with a kitchen, dining area and sitting area with an open fire, a second sitting room with an open fire, and a sun room. Outside there is ample off road parking and a lawned garden with a patio area and furniture. Doolough Lodge is a fantastic property with a wide range of activities available close by.